Shelhurst’s focus is in the supply of heavy duty DC rotating electrics to the mining, commercial truck, military, bus and industrial sectors. 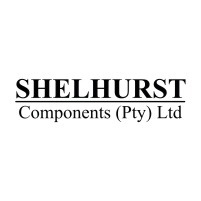 Shelhurst Components (Pty) Ltd was founded in 1990 with the mandate to Trade in Automotive Components locally and Internationally and in so doing be part of the growing South African Automotive Industry. Shelhurst is the master importer of Prestolite Electric/ Leece-Nevile heavy duty alternator and starter motor range in the Southern African region. Shelhurst’s focus is in the supply of heavy duty DC rotating electrics to the mining, commercial truck, military, bus and industrial sectors. Shehurst also specializes in the design development and manufacture of high Amp DC Prestolite Power Packs for clients that require EMI and ITAR Free solutions. It is our objective to supply OE quality products to the commercial and specialised vehicle industries at a reasonable price.